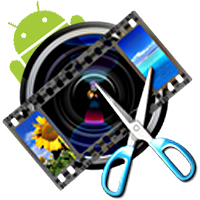 If you want to improve the appearance of your photos Android provides you with dozens of apps. Unfortunately most of these apps will disappoint you. But below you will find a list of ten best photo editors. It is a free application combining basic features for editing and also few extra ones. The app allows adjusting tint, contrast, temperature, exposure, saturation and brightness. Special tab allows you add various effects to your photos including hue, spotlight and dizziness. There are really cool features for example Word Balloons which make this application unique. It is a free photo filtering application which is easier in use than PicSay. One can refer pictures rotating and frames adding to its basic features. Body glow as well as burn spot are also a few improved features of Little Photo app. In Pixlr-o-matic filters are divided into 3 categories. The shortcoming of this free app is that the user can use only one filter for one category at once. To apply several filters one should save a photo after editing and load it once more. The distinguishing feature of this app is absence of ads. Do you want to erase some elements from your photo? Then TouchRetouch Free is the application you need. It does not have many features but still helps you with improvement of photos. What’s interesting with this paid app is that one can create photo collages here. This premium paid app has additional adjustments in comparison with free PicSay. It allows its users change the sharpness and photo’s RGB. Moreover there are other new adjustments one can apply such as Fix Red-Eye, Rotate and Flip, Blur and Boost. The app has the same features which the free version includes. In addition one can save EXIF files here and enjoy a few extra settings. The app does not contain any ads. And what is important it saves the quality of images. Would you like to see more depth in your photos? This paid app is just for you. Tilt-shifts are presented in three formats. Unfortunately one can’t get this app for free. If you have a high resolution picture and strive to save its quality rely on this app. In total there are more than two hundred filters divided into 10 separate categories. Here you can also compare the initial photo with an edited one.